OH MY GOODNESS. THIS BOOK WAS SO GOOD. IT EXCEED ALL OF MY EXPECTATIONS. ROSHANI IS MY QUEEN. 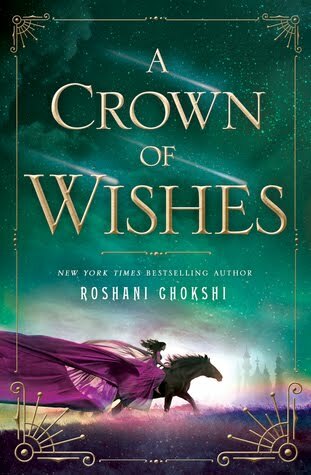 First of all, Roshani's writing style is INCREDIBLE and almost magical. Her writing was lush, descriptive, whimsical, and enchanting. Her writing alone makes this book wonderful. I couldn't stop reading the book because I just never wanted to stop reading her beautiful words. Everyone needs to read these book just for the sake of experiencing Roshani's writing skills. The plot of this book was addictive and mesmerizing. I felt like there was never a dull moment! Each moment of this book was exciting and interesting. I never wanted this book to end! The characters in this book were AMAZING. I LOVE THEM SO FREAKING MUCH. Gauri was such a badass. I loved how strong of a character she was. She was determined, passionate, strong, and smart. She was a great character and I want to be her when I grow up. Vikram was SO SWOON WORTHY. I fell in love with him from the first chapter. Vikram was witty, hilarious, sassy, charming, and all around perfect. He literally outsmarted everyone and I was LIVING for it. Also, he was EXTREMELY attractive. So, it was very easy for me to fall in love with him hehehe. Gauri and Vikram were almost opposites, but it worked so well for their relationship. Their banter made me laugh out loud and it made my heart flutter. Their chemistry was incredible and I never wanted them to stop interacting. THEY ARE THE BEST!!!! Overall, this book was incredible. I don't want to say too much because I want everyone to experience it on their own. READ THIS BOOK. ENJOY IT. BECOME OBSESSED WITH IT LIKE I HAVE. PLEASE.